US artist Mark Jenkins talks to INDIE about the art of the absurd, the politics of public space, and laughing at the viewer. Dark times can bring out a dark sense of humour, and no one creates darkly funny art quite like Mark Jenkins. 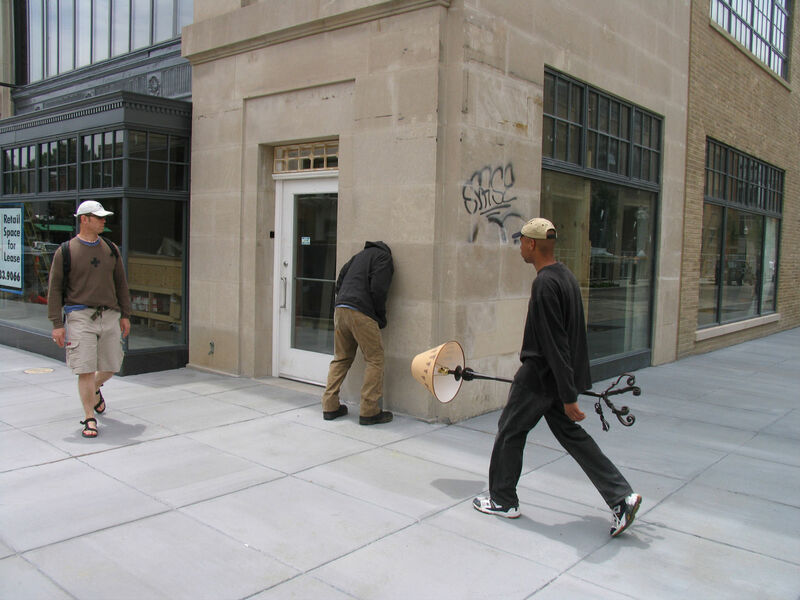 Originally tapped by Banksy in 2006, the Washington DC-based artist has risen to prominence in the world of urban art with his hyperrealist, figurative sculptures that mock the monotony of everyday life. Surreal human figures appear to walk off roofs or into walls, shocking the viewer into questioning what’s real and what isn’t. 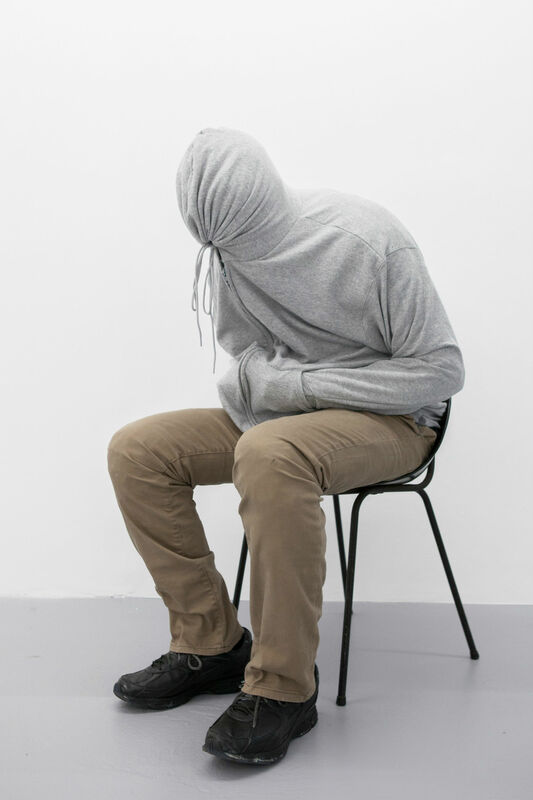 Whether placed in a chaotic city street or next to a clean gallery wall, each sculpture functions as a kind of prank on the viewer, who unknowingly becomes part of the work itself (watch out for onlookers laughing in the background). Jenkins’ sense of humour has become his trademark in a crowded mar-ket for recognisable street art that speaks to our dark, chaotic times. The artist makes us shiver, makes us gasp, and ultimately makes us laugh. And in today’s messy, often-times irrational political moment, Jenkins’ taste for the absurd offers a new way to look at the world around us. First things first: how did your art career begin? I studied geology so there wasn’t really a direct link to the art world. I didn’t go through a whole degree programme to become a fine artist. I took a more windy path. I was living in Rio de Janeiro and met some artists who were doing installation art, which gave me the idea to try to make something myself, out of beach umbrel­las. After that, I started experimenting with paint, then I came up with this casting method, and then from there just kept making more. Some of my work went viral on the internet. Maybe it was because it was made out of tape, people were curious about it, but then Banksy contacted me and invited me to be in a show in London. That was around 2006, and then my work sort of took off from there and galleries started contacting me. That was the jumpstart. It’s interesting you mentioned your scientific background; your work has a clear obser­vational — even voyeuristic — quality to it. Is there a connection between science and art that has informed your work? I think the scientific method plays into how I look at art sometimes. The way I docu­ment things, the way I pho­tograph things or take notes; I think from more of a scien­tific point of view. In many installations I tend to see the data that I get out of it. So on one side [my art] has poetic narrative, and on the other side it has this socio­logical data impact. I can kind of see it both ways at the same time. A lot of your work feels like it could be labelled as a kind of social experiment. You’ve shown your work in busy cityscapes and in quiet, clean gallery spaces. As a street artist, what is the draw of taking art outside of conventional settings? I think of [my work] like a butterfly. When you can observe it in nature, you see it flying around. Whereas if you see the butterfly [in a zoo] behind a glass case, you can maybe see the stripes better or make out all its features … but you don’t get that effect, that dynamic effect of the insect. I think the same way with my art. You can see it and understand it [in a gallery space], but you don’t see that dynamic aspect that you would on the street. Viewers certainly connect with the work differently when they encounter it in public space — there’s an element of surprise and dark humour there. When it comes to choosing a setting, do you have a preference —behind a glass case or in the wild? Well, even with the butterflies behind the glass — even though there’s something sterile about it — there’s still something somehow sacred about it too. I do think that a lot of art museums have this sense of sacredness towards the art. It’s kind of protected from people doing stuff to it, and since my work on the street is often assaulted pretty harshly —set on fire, police destroy it, or whatever — sometimes it’s nice to have it become sacred and have a sort of haven from people just doing whatever they want to it. There’s a sense of humour — or even a sense of the absurd — that runs through your body of work. As an artist, what interests you about making the viewer laugh? I think it’s more me laughing. I don’t know what that laughter is about exactly but it definitely comes from the absurd. There’s no meaning necessarily in it. Like one piece I did, it’s a guy roasting a hot dog on a teddy bear, you know? It’s just abstracted and was part of a show called “Peace and Democracy”.We were supposed to make a piece within this given theme, and so I just titled my piece “Peace, Democracy, and a Hot Dog”. I was kind of making fun of the title and theme at the same time. Abstracting those ideas — it’s funny. Doesn’t mean there’s nothing in there, but first and foremost it’s a laugh. Mark Jenkins preparing his solo exhibition “Knock Knock”, which was on at Ruttkowski;68 Cologne exhibition space in 2016. Yes, the artist mimicking the viewer can make the work even more compelling. And when the work is displayed publicly, the location is an important part of the joke. I’m wondering, how do you choose a location? Might you have any dream locations in mind? In choosing a location, you look for electricity. And that generally tends to be in places where there is more foot traffic. You could say, “I want to make a girl and put it in a barren den in the forest.” Or you could place a work somewhere in the Middle East, where things are really sensitive, and do something related to women and religion or something to really like, push buttons and see what happens. It could be completely public, but you just have that electrical kind of nature to it. I always wanted to do some­thing at Niagara Falls, some­thing where I would have all these bodies floating over the edge — just to see people respond. All these tourists are taking pictures, and then all of a sudden a hundred bodies come rolling over the edge. It would be cool to watch. It would be hilarious to see people’s faces! I think that would be a pipe dream. What a scene that would be. What kind of advice might you give to aspiring street artists today? What are some of the challenges one might anticipate? Don’t ask for permission. You’ll get the work out there. The lifespan is pretty limited, but you won’t know unless you get it out there. If you’re doing something with, say, an institution or some kind of organisation, getting that permission can sometimes be impossible. I made a bunch of pieces for a project in North Carolina once and, out of the seven, only two actually got out there, and then the police took them away anyway because they said they had the ultimate say over it, even though I had permis­sion from the city. Even if you have the permissions too, it doesn’t mean that it will last. One time, I made a piece, and the ambulance came and the drivers smashed the sculpture. They just stomped on it until the head came off. They said it was a waste of their time because if something is happening, the work might get in the way and jeopardise saving some­body’s life, all because people came to see the sculpture. Which is all part of the absurd for me, you know? When the paramedic smashes the sculpture, I think it’s kind of funny. That’s quite a story. Your sculptures become part of the fabric of the city, and can even become part of debates over how to best use public space. I think it’s interesting with sculpture, just because so much of our experience is two­dimensional, and we spend so much time looking at our phone screens. I think making three­dimensional objects and putting them out there in the cityscape as an alternative to advertise­ments can just wake people out of that kind of zombie trance they get into. 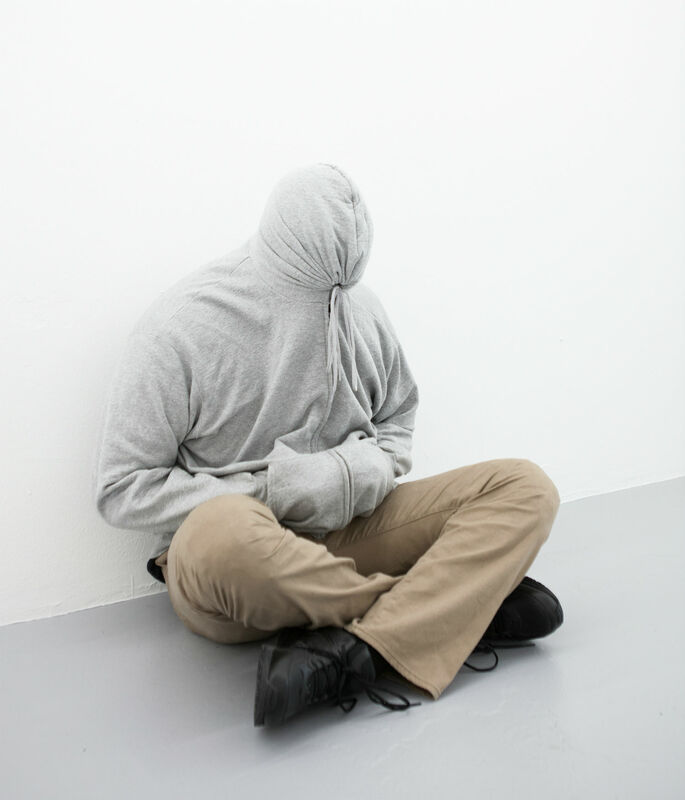 Mark Jenkins’ exhibition ‘BRD SHT’ is on at the Galerie Magda Danysz in Paris until the 8th of December. 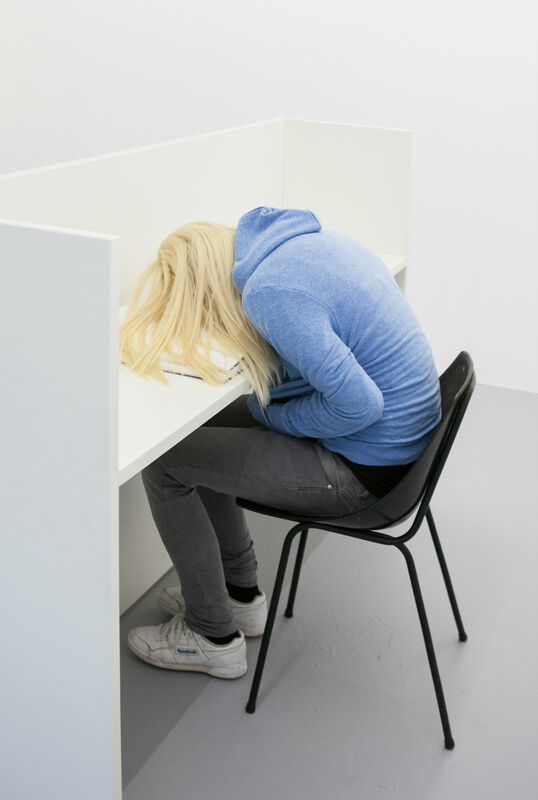 FOLLOWING REN HANG'S SUICIDE WE ASK: WHAT IS THE LINK BETWEEN CREATIVITY AND MENTAL ILLNESS?